Niki Kitz weaves strange musical tapestries with sounds ranging from dark, textured techno, euphoric deep/progressive house, minimal psy-tech and ambient music. Prior to learning how to DJ, Niki co-hosted all-night events at unusual venues as a core member of the Foshizzle Family. Her first sets took place during sunrise at a teahouse and late night at the Center for Conscious Living. This has definitely influenced the type of music she plays and to this day, Niki’s signature sets usually occur in nontraditional venues late night or at sunrise. She currently lives in Milwaukee has been an Apart Artist since 2013. 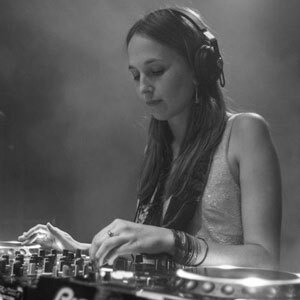 She also DJs and throws events with Plush Industries, a local psy-trance and techno collective. She has been featured on diverse event and festival line-ups across the Midwest. Keep your ears, mind, and heart open and Niki’s hypnotic DJ sets will surely evoke a range of emotions and leave you feeling funny, in a good way.